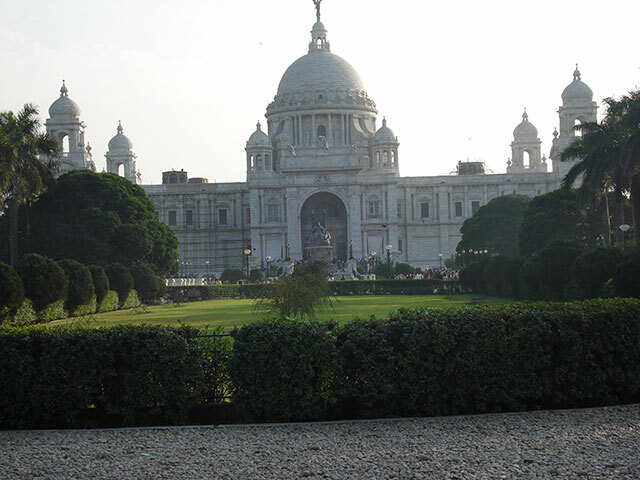 The nickname of Kolkata is City of Joy after Dominique Lapierre‘s 1985 novel of the same name. 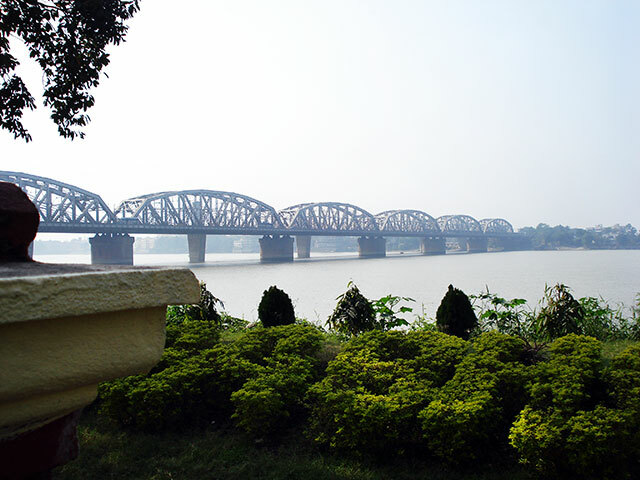 The city is on the east bank of the Hooghly River. Across the Hooghly is Howrah Bridge. It was built during World War II and opened to traffic in 1943. Howrah Bridge is the busiest cantilevered bridge in the world. More than 80,000 vehicles pass through it daily. The bridge links Kolkata and Howrah and is the lifeline of the city. 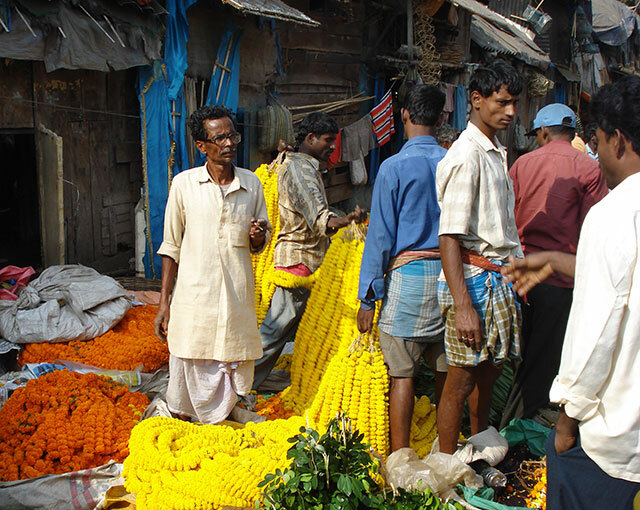 Down below the bridge, I found a busy flower market. Bright flowers in different colours were being sold. The flowers will be used mainly for decorations and for pooja. Goddess Kali is the principal deity in Dakshineswar Temple. Rani Rahmoni built it in 1847. The temple is famous for its association with Sri Ramakrishna Paramhansa who was perhaps the most famous saint of nineteenth century India. 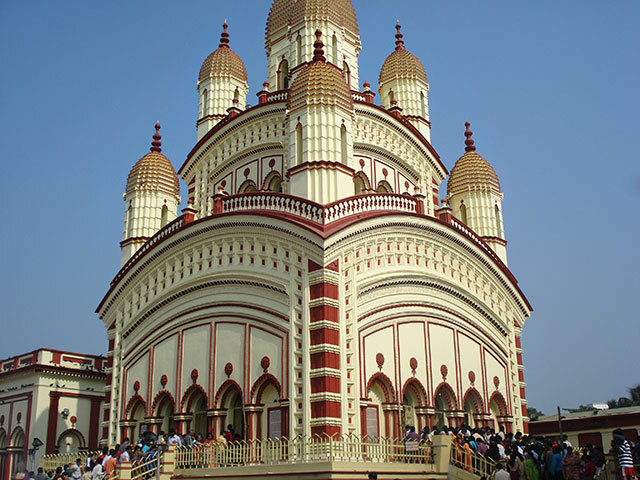 There is a shrine of Rani Rashmoni within the compound of Dakshineswar Temple. 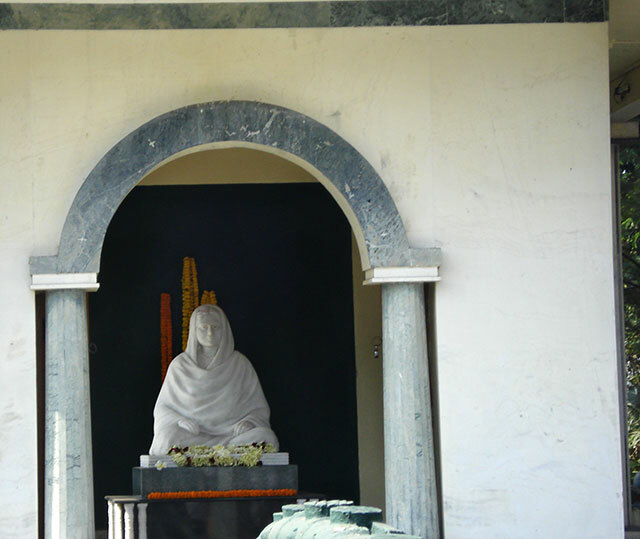 Her statue in white marble stands here. Dakshineswar Temple stands on the bank of the Hooghly. Devotees can use the bathing ghat in front of the temple. A bridge has been built across the river. 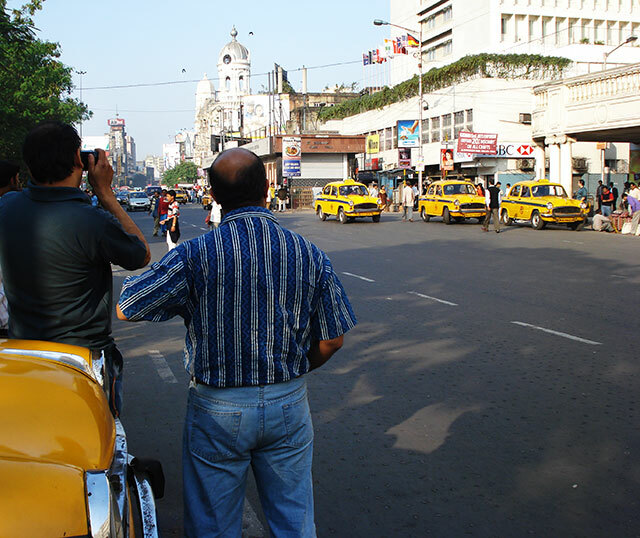 Esplanade is in the city centre of Kolkata. It is just north of the Maidan and includes Dalhousie Square with its Gothic buildings. Many of the city’s important buildings are located here. The area transports visitors back to a bygone colonial era. 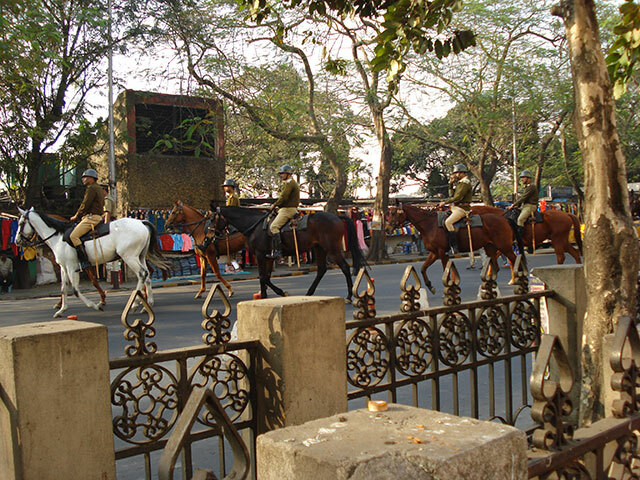 The Kolkata Mounted Police started functioning in 1840. The force controls crowds on the maidan during sporting events and fairs. The unit also takes part in ceremonial parades and mounts guard at Raj Bhavan during VIP visits. Tea, cricket, trams, Gothic architecture and hand-pulled rickshaws were all part of the English way of life in colonial Kolkata. There are reportedly 18,000 rickshaw pullers and 6,000 rickshaws in the city. 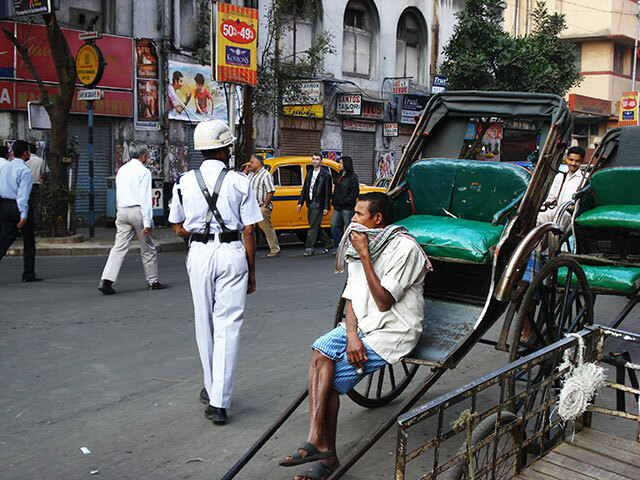 Travellers can see hand-pulled rickshaws only in Kolkata. The Memorial commemorates the reign of Queen Victoria on the English throne. It brings together the best of the English and Mughal architecture and makes use of white Makrana marble. The Prince of Wales laid the foundation stone of Victoria Memorial in 1906. The inauguration was in 1921. Victoria Memorial is now a museum. It has noteworthy collections of paintings, sculptures, weapons, maps, coins, stamps, artifacts and textiles.